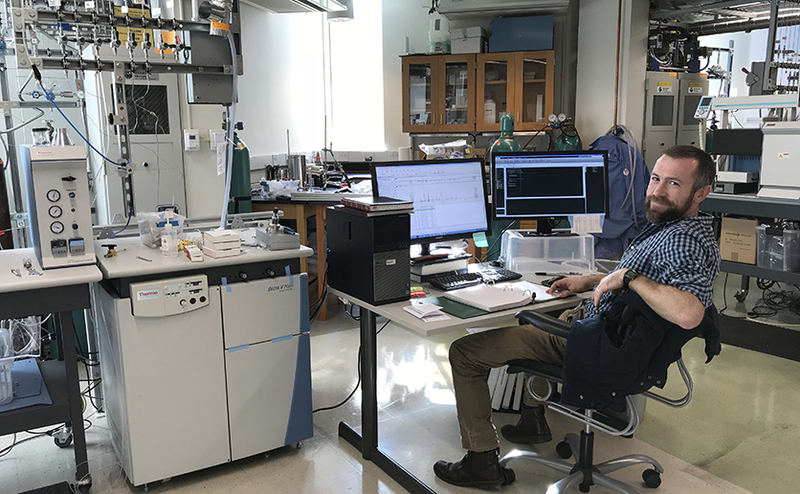 The Stable Isotope Laboratory of the Department of Earth and Planetary Sciences was established in 2008 to support the programs in biogeochemistry, paleoclimatology, and chemostratigraphy. The facility supports users both within and outside of the Northwestern community, and has become a critical part of the state-of-the-art Integrated Laboratories for Earth and Planetary Sciences. Our facility measures the stable isotope ratios of the light elements, including H/D, C, N, O, and S from a variety of sample materials including organic extracts, bulk OM, carbonate associated sulfates (CAS), carbonates (calcite/dolomite), waters, dissolved phases, and gases.